NEIU President Gloria J. Gibson informed the NEIU community that the university paid The Nest more than $600,000 in October to make up the gap of low occupancy during her first State of the University Address on Nov. 27. In an interview with Vice President for Student Affairs Dr. Daniel Lopez Jr. and Director of Strategic Communications Mike Hines on Nov. 29, Lopez explained that the contract NEIU has with American Campus Communities (ACC) requires an 80 percent occupancy in The Nest. “Given our predictions for next spring, we think it’s going to be a very similar amount and we will have to make a contribution by February,” Lopez said. Lopez said they would have preferred to invest that money elsewhere, but it is money that the university carved out of the general operating fund. “We are not decreasing financial aid services because we’re paying this, no. It’s a commitment that the university made when we went into this agreement and we just have to find the money. “I think the bottom line is that there will be less money put into the reserves,” Lopez said. Lopez said the process to apply and live at The Nest was more selective this year than before, which could’ve attributed to the low occupancy. 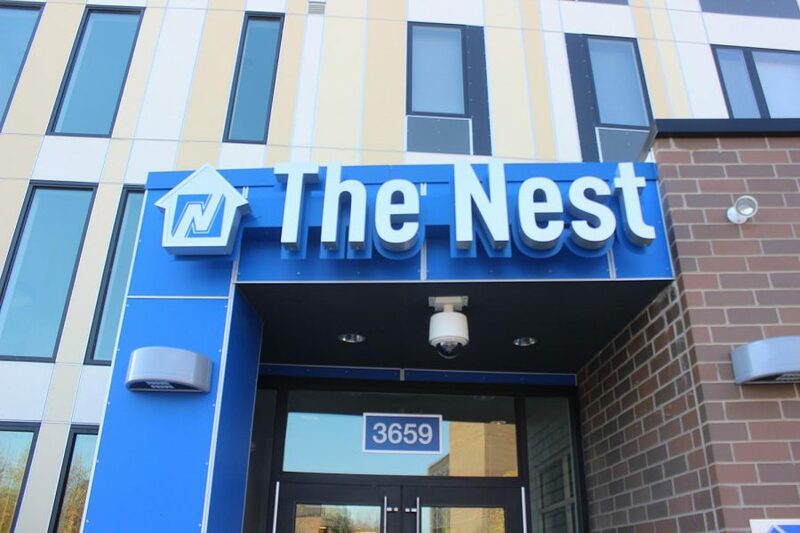 Students interested in living at The Nest first had to meet with a financial adviser to determine if they can afford it with scholarships and loans. “We did it this year because we knew that some students were wanting to live in The Nest who couldn’t afford to live in it and the university did not want to put any more additional financial burden on the student,” Lopez said. Another reason that Lopez said he believed contributed to the low occupancy at The Nest is the new policies put into place to increase students’ safety. Based on incidents involving altercations and verbal threats to one’s safety, Lopez said the university decided to restrict the number of visitors in each room and making them sign in before going into the rooms. Visitors must leave their I.D.s in the front desk and they must leave at certain times. “The issues came from visitors, not necessarily the students,” Lopez said. As the new policies were implemented, Lopez said students were not happy with them. During a town hall meeting Lopez held with the students living at The Nest, Lopez said he asked them to form a club and then provide recommendations to The Nest management and to him on improving the policies. “We’re waiting for them to have those conversations,” Lopez said. According to Lopez, the occupancy requirement for the fourth year of the five-year contract with ACC is 80 percent again, then about 78 percent for the fifth year. “The bottom line for us is really enrollment,” Lopez said. Hines said that the percentage of decrease in freshmen enrollment was “in the 40s.” When looking at the Enrollment Fact Sheet for fall 2018, the number of freshmen students who enrolled at NEIU for the fall 2017 was 830 students. This fall, it was 451 students. What are some initiatives NEIU is creating to improve enrollment and retention at NEIU and The Nest? One of the initiatives Lopez said NEIU is working on to increase occupancy is forming an agreement with community colleges to allow their international students to live in The Nest while studying at the other institutions. Lopez said he hopes this agreement would be a “seamless transition” for international students to transfer to NEIU when they are done at the community college. While Lopez said that one of the main priorities of Gibson is enrollment, he said retention is another priority. Lopez mentioned the new Golden Opportunity scholarship for new students enrolling in fall 2019. He said the scholarship is a combination of state funds and NEIU is “matching those funds;” about $1.6 million will be dedicated for new students. Tags: Lamont Vaughn, low occupancy, Mike Hines, NEIU, NEIU pays the NEST, NEIU Student Media, Northeastern Illinois University, President Gloria J. Gibson, Student Housing, The Independent, The Nest, Vice President Dr. Daniel Lopez Jr. The fact the NEIU doesn’t own its own dorms makes me think that their are huge financial scams going on with the school, The alderman Laureno and the state budgets. This is a terrible contract and we need to find out more about these preditory companies cashing in on public funds. Another contract that needs to be examined: the contract with the garage construction prohibits NEIU from allowing bicycles to be parked in the garage, under cover protected from rain or snow. AProtect the cars, but not the bikes. A good reason NOT to live in the Nest.